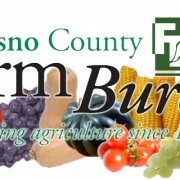 FRESNO – The Fresno County Farm Bureau leadership development program is accepting applications to be part of the 2014-2015 Future Advocates for Agriculture Concerned about Tomorrow (FAACT) Class XII. The deadline to apply is Friday, July 25. The FAACT Leadership Development Program provides community leaders with a comprehensive eight-month program highlighting specific issue areas in agriculture. Both agricultural and non-agricultural, community-minded people are encouraged to apply. Beginning on Oct. 6, class participants will meet once a month for a day-long seminar to discuss current issues in food and fiber production. The class will meet the first or second Monday of the month from October through June. The tentative class meeting dates are: Oct. 6, 2014; Nov. 3, 2014; Jan. 12, 2015; Feb. 9, 2015; March 9, 2015; April 13, 2015; May 11, 2015; and June 8, 2015. The class does not meet in December. As part of the curriculum, FAACT offers a balanced, factual presentation of several issue areas specific to agriculture, such as air quality, land use planning, water quality regulations and supply development, immigration and agricultural labor issues, regulatory processes and the economic viability of agriculture. The class sessions use a combination of field trips and lectures by noted experts. Tuition for the program is $400 per person for Farm Bureau member and $500 for non-members, which will include a FCFB membership. The deadline to submit an application is July 25. Applications are available online at www.fcfb.org. Questions may be directed to FCFB at 559-237-0263 or info@fcfb.org. Abram Bowman, Deerpoint Group, Inc.